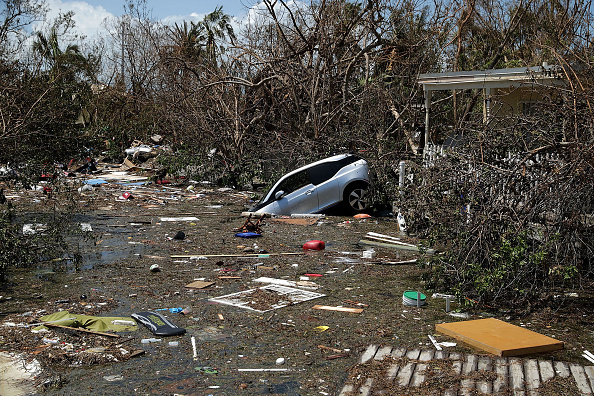 25 years after the destruction of Hurricane Andrew, Hurricane Irma was on our horizon and quickly transformed into a catastrophe that shook Florida and the caribbean to the very core. However, before Irma was knocking on our door, south Florida had several days to prepare. The students, faculty and staff of John A. Ferguson had a few things to say about the calamity that would soon fall upon us. “We all need to be prepared, the South Floridians, especially the residents of Miami- Dade County, with these, they’re so unpredictable too, it’s early on, yet it’s on its way,” English Teacher Robert Rowe said. As a result of Hurricane Irma, some seniors missed their panoramic picture. They wished that it would be postponed to be able to be part of it, but it was a onetime opportunity. Some students were told to stay home by their parents because Florida was already in a state of emergency. “My experience for the hurricane was okay. I missed senior panoramic because my dad didn’t let me go to school since the state of Florida was in a state of emergency. I lost power for three days, so after the hurricane was over I went to my uncle’s house since he had a generator. I wasn’t really scared or anything it was just annoying because I was stuck at home for so long,” Senior Samantha Font said. John A. Ferguson was actively preparing for the consequences that would bring this natural event, since the school is used as a shelter offered to individuals with certain medical conditions that need to have assistance from specific medical personnel. Nothing was left to chance, organization was essential and the reinforcement of precautions was announced constantly from teachers and staff members. Students and their families were getting ready for Irma in a state of urgency. The stores were extremely packed because everyone was rushing to make sure they had everything they needed. When power was lost, families had to come up with creative ways to heat their food up, obtain some light and refresh themselves due to lack of air conditioning. Most importantly, this hurricane gave individuals the opportunity to have conversations with their loved ones, and not be on their phones like they are used to. “This wasn’t as bad as I imagined it to be. I wasn’t scared because I knew we would be fine as long as we stayed inside and not by any windows or anything. We had bought lots of water and snacks. While we had no power we had to use a candle to heat up our food. In all honesty, I am kind of glad that we lost power because I got to interact with my family more and got to get away from my phone for a while,” sophomore Amanda Castro said. After the hurricane passed, people were anxious to see what damage had been done outside. Many individuals walked around their neighborhoods to see the aftermath. Thankfully nothing horrific happened around the area, just some fallen trees and fences. “We didn’t lose power at all which was a miracle. I was a little scared just because everyone in the city was going crazy and you never know what to expect with a hurricane. My family and I picked up our patio and put up the shutters. After the hurricane, I went outside and there was thankfully absolutely no damage done to my house. Although many trees fell in my neighborhood, everyone was safe and that was all that mattered,” junior Melanie Mena said. Hurricane Irma was expected to be a catastrophe due to its enormous size; however, nature proved once again to be unpredictable in the eyes of humans. The course changed and Florida was minimally affected; the state is still recovering from the consequences but not as disastrous as predicted. After a storm, the sun will always come up and with it, we rise again.